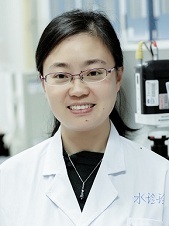 Areas of working: Her research interest is to promote the microfluidic technologies for applications in sensing, display and micro-total-analysis-system. Scientific achievements: >50 SCI article, 2 book chapters, 52 patents, 1 technology transfere. 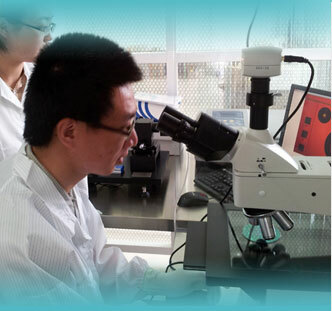 Projects: Lead 8 key projects including 3 from NSFC, 1 from MOST, 4 from Guangdong Science and Technology Department. Other activities: Guest editor of Lab on a Chip for the special issue of "Optofluidics" in 2015, organize one conference of "Optofluidics2014", organization committee of Optofluidics 2015, 2016 and Electrowetting 2016. Guest Editor of Lab on a Chip Journal on special issue of “Optofluidics” in 2015. 1. Mingliang Jin, Guofu Zhou, Lingling Shui*, “Advanced Materials for Reflective Displays” in the book of “Design, Fabrication, Properties and Applications of Smart and Advanced Materials”, ISBN: 978-1-4987-2249-0, Page: 460-487 (2016). 2. Lingling Shui, Jan C. T. Eijkel, Albert van den Berg, “Pressure Driven two phase flows”, Encyclopedia of Microfluidics and Nanofluidics, ISBN: 978-0-387-32468-5, Page: 1736-1742 (2008). 1. Wang, Juan, Mingliang Jin, Yingxin Gong, Hao Li, Sujuan Wu, Zhang Zhang, Guofu Zhou, Lingling Shui*, Jan C. T. Eijkel and Albert van den Berg, Continuous fabrication of microcapsules with controllable metal covered nanoparticle arrays using droplet microfluidics for localized surface plasmon resonance. Lab on a Chip, 2017. 17: p. 1970-1979. 2. Lingling Shui*, Robert A. Hayes, Mingliang Jin, Xiao Zhang, Pengfei Bai, Albert van den Berg and Guofu Zhou, Microfluidics for electronic paper-like displays. Lab on a Chip, 2014. 14(14): p. 2374-2384. 3. Lingling Shui*, Albert van den Berg and Jan C. T. Eijkel, Interfacial tension controlled W/O and O/W 2-phase flows in microchannel. Lab on a Chip, 2009. 9(6): p. 795-801. 4. Lingling Shui, Sumita Pennathur, Jan C. T. Eijkel and Albert van den Berg, Multiphase flow in lab on chip devices: A real tool for the future. Lab on a Chip, 2008. 8(7): p. 1010-1014. 5. Arayanarakool, Rerngchai, Lingling Shui, Serve W. M. Kengen, Albert van den Berg and Jan C. T. Eijkel, Single-enzyme analysis in a droplet-based micro- and nanofluidic system. Lab on a Chip, 2013. 13(10): p. 1955-1962. 6. Marin, A. G., W. van Hoeve, P. Garcia-Sanchez, Lingling Shui, Y. B. Xie, M. A. Fontelos, J. C. T. Eijkel, A. van den Berg and D. Lohse, The microfluidic Kelvin water dropper. Lab on a Chip, 2013. 13(23): p. 4503-4506. 7. Xie, Yanbo, John D. Sherwood, Lingling Shui, Albert van den Berg and Jan C. T. Eijkel, Strong enhancement of streaming current power by application of two phase flow. Lab on a Chip, 2011. 11(23): p. 4006-4011. 8. Juan Wang, Jan Eijkel, Mingliang Jin, Shuting Xie, Dong Yuan, Guofu Zhou, Albert van den Berg and Lingling Shui*, Microfluidic Fabrication of Responsive Hierarchical Microscale Particles from Macroscale Materials and Nanoscale Particles. Sensors and Actuators B-Chemical, 2017, 247: 78-91. 9. Lina, Zhou, Cao Yujuan, Lin Bixia, Song Shuhua, Yu Ying* and Shui Lingling*, In-situ visual and ultrasensitive detection of phosmet using a fluorescent immunoassay probe. Sensors and Actuators B-Chemical, 2017. 241: p. 915-922. 10. Lingling Shui*, Jan C. T. Eijkel and Albert van den Berg, Multiphase flow in micro- and nanochannels. Sensors and Actuators B-Chemical, 2007. 121(1): p. 263-276. 11. Jin, Mingliang, Yunfei Zhu, Albert van den Berg, Zhang Zhang, Guofu Zhou and Lingling Shui*, Wafer-scale fabrication of high-density nanoslit arrays for surface-enhanced Raman spectroscopy. Nanotechnology, 2016. 27(49): p. 49LT01-49LT01. 12. Jin, Mingliang, Xia Liu, Albert van den Berg, Guofu Zhou and Lingling Shui*, Ultrasensitive DNA detection based on two-step quantitative amplification on magnetic nanoparticles. Nanotechnology, 2016. 27(33). 13. Lingling Shui, Johan G. Bomer, Mingliang Jin, Edwin T. Carlen and Albert van den Berg, Microfluidic DNA fragmentation for on-chip genomic analysis. Nanotechnology, 2011. 22(49). 14. Lingling Shui*, E. Stefan Kooij, Daniel Wijnperle, Albert van den Berg and Jan C. T. Eijkel, Liquid crystallography: 3D microdroplet arrangements using microfluidics. Soft Matter, 2009. 5(14): p. 2708-2712. 15. Tsai, Peichun, Maurice H. W. Hendrix, Remko R. M. Dijkstra, Lingling Shui and Detlef Lohse, Microscopic structure influencing macroscopic splash at high Weber number. Soft Matter, 2011. 7(24): p. 11325-11333. 16. Li, Lanhui, Mingliang Jin, Chenglong Sun, Xiaoxue Wang, Shuting Xie, Guofu Zhou, Albert Van den Berg, Jan C. T. Eijkel and Lingling Shui*, High Efficiency Hydrodynamic DNA Fragmentation in a Bubbling System. Scientific Reports, 2017. 7. 17. Lingling Shui*, Frieder Mugele, Albert van den Berg and Jan C. T. Eijkel, Geometry-controlled droplet generation in head-on microfluidic devices. Applied Physics Letters, 2008. 93(15). 18. Lingling Shui*, Albert van den Berg and Jan C. T. Eijkel, Capillary instability, squeezing, and shearing in head-on microfluidic devices. Journal of Applied Physics, 2009. 106(12). 19. He, Tao, Mingliang Jin, Jan C. T. Eijkel, Guofu Zhou and Lingling Shui*, Two-phase microfluidics in electrowetting displays and its effect on optical performance. Biomicrofluidics, 2016. 10(1). 20. Xie, Yanbo*, Miao Sun, Mingliang Jin, Guofu Zhou and Lingling Shui*, Two-phase microfluidic flow modeling in an electrowetting display microwell. European Physical Journal E, 2016. 39(2). 21. Li, Lu, Liping Shen, Xiaoqian Zhang, Lingling Shui*, Benhui Sui, Xiaoli Zhang, Xiaofan Zhao* and Wenrui Jin*, Multiplexed optical coding nanobeads and their application in single-molecule counting analysis for multiple gene expression analysis. Analytica Chimica Acta, 2015. 886: p. 123-132. 22. Xie, Shuting, Fei Lu, Shaojie Liu, Liqiang Zheng, Mingliang Jin, Guofu Zhou and Lingling Shui*, Imidazolium ionic liquid induced one-step synthesis of alpha-Fe2O3 nanorods and nanorod assemblies for lithium-ion battery. APL Materials, 2016. 4(12). 23. Sui, Xiaofeng, Lingling Shui, Jin Cui, Yanbo Xie, Jing Song, Albert van den Berg, Mark A. Hempenius and G. Julius Vancso, Redox-responsive organometallic microgel particles prepared from poly(ferrocenylsilane)s generated using microfluidics. Chemical Communications, 2014. 50(23): p. 3058-3060. 24. Lingling Shui*, Jan C. T. Eijkel and Albert van den Berg, Multiphase flow in microfluidic systems - Control and applications of droplets and interfaces. Advances in Colloid and Interface Science, 2007. 133(1): p. 35-49. 25. Lingling Shui*, Albert van den Berg and Jan C. T. Eijkel, Scalable attoliter monodisperse droplet formation using multiphase nano-microfluidics. Microfluidics and Nanofluidics, 2011. 11(1): p. 87-92. 26. Lingling Shui, Wouter Sparreboom, Peter Spang, Tina Roeser, Benjamin Nieto, Francesc Guasch, Antoni Homs Corbera, Albert van den Berg and Edwin T. Carlen, High yield DNA fragmentation using cyclical hydrodynamic shearing. RSC Advances, 2013. 3(32): p. 13115-13118. 27. Lu, Han, Hua Zhang, Mingliang Jin, Tao He, Guofu Zhou and Lingling Shui*, Two-Layer Microstructures Fabricated by One-Step Anisotropic Wet Etching of Si in KOH Solution. Micromachines, 2016. 7(2). 28. Wang, Juan, Mingliang Jin, Tao He, Guofu Zhou and Lingling Shui*, Microfluidic Induced Controllable Microdroplets Assembly in Confined Channels. Micromachines, 2015. 6(9): p. 1331-1345. 29. Chen, Xia, Tao He, Hongwei Jiang, Biming Wei, Guofei Chen, Xingzhong Fang, Mingliang Jin, Robert A. Hayes, Guofu Zhou and Lingling Shui*, Screen-printing fabrication of electrowetting displays based on poly(imide siloxane) and polyimide. Displays, 2015. 37: p. 79-85. 30. Yi, Zichuan, Lingling Shui, Li Wang, MingLiang Jin, Robert A. Hayes and Guofu Zhou, A novel driver for active matrix electrowetting displays. Displays, 2015. 37: p. 86-93. 31. Bai, Peng Fei, Robert A. Hayes, Ming Liang Jin, Ling Ling Shui, Zi Chuan Yi, L. Wang, Xiao Zhang and Guo Fu Zhou, Review of Paper-Like Display Technologies. Progress in Electromagnetics Research-Pier, 2014. 147: p. 95-116. 32. Duan, Feibo, Pengfei Bai, Alex Henzen, Lingling Shui, Biao Tang and Guofu Zhou, An Adaptive Generation Method for Electrophoretic Display Driving Waveform Design. Journal of the SID, 2016. 24(11): p. 676-685. 33. Lingling Shui, P. Z. Guo, F. Chen, G. Y. Xu and L. Q. Zheng, The effect of Iopamidol on rheological properties of monoglyceride/water system. Colloids and Surfaces a-Physicochemical and Engineering Aspects, 2005. 256(1): p. 85-90. 34. Zheng, L. Q., Lingling Shui, Q. Shen, G. Z. Li, T. Baba, H. Minamikawa and M. Hato, pH and salt-induced reversible aggregation of nonionic synthetic glycolipid vesicles. Colloids and Surfaces a-Physicochemical and Engineering Aspects, 2002. 207(1-3): p. 215-221. 35. Zheng, L. Q., W. Z. Zhu, Q. Shen, Lingling Shui, G. Z. Li and Z. W. Sun, Kinetic and size control of polystyrene and polyacrylic octadecyl ester lattices via polymerization in O/W microemulsions. Colloids and Surfaces a-Physicochemical and Engineering Aspects, 2002. 201(1-3): p. 111-121. 36. Liu, Jin, Xi Zhou, Zhi Qiao, Jianhao Zhang, Chenzhao Zhang, Tuowen Xiang, Lingling Shui, Yaocheng Shi and Liu Liu, Integrated Optical Chemical Sensor Based on an SOI Ring Resonator Using Phase-Interrogation. Ieee Photonics Journal, 2014. 6(5). 37. Li, G. Z., J. Xu, J. H. Mu, L. M. Zhai, Lingling Shui, W. J. Chen, J. L. Jiang, F. Chen, D. F. Guo and W. M. Lin, Design and application of an alkaline-surfactant-polymer flooding system in field pilot test. Journal of Dispersion Science and Technology, 2005. 26(6): p. 709-717. 38. Zheng, L. Q., J. Zhang, Lingling Shui*, F. Chen, J. Y. Um and H. Chung, Component effects on the phase behavior of monoglyceride-water mixtures studied by FT-IR and X-ray diffraction. Journal of Dispersion Science and Technology, 2003. 24(6): p. 773-778. 39. XiaoMei Zhang, PengFei Bai, Robert A. Hayes, Lingling Shui, Mingliang Jin, Biao Tang and Guo-Fu Zhou, Novel Driving Methods for Manipulating Oil Motion in Electrofluidic Display Pixels. Journal of Display Technology, 2016. 12(2): p. 200-205. 40. Ma, Xiaoxiao, Zhicheng Xiong, Wen Wang, Luming Zhang, Sujuan Wu, Xubing Lu, Xingsen Gao, Lingling Shui and Jun-Ming Liu, Inverted organic solar cells using a solution-processed TiO2/CdSe electron transport layer to improve performance. Journal of Physics D-Applied Physics, 2016. 49(15). 41. Dou, Yingying, Mingliang Jin, Guofu Zhou and Lingling Shui*, Breath Figure Method for Construction of Honeycomb Films. Membranes, 2015. 5(3): p. 399-424. 42. Wang, Wen, Zongbao Zhang, Yangyang Cai, Jinshan Chen, Jianming Wang, Riyan Huang, Xubing Lu, Xingsen Gao, Lingling Shui, Sujuan Wu, and Jun-Ming Liu, Enhanced performance of CH3NH3PbI3-xClx perovskite solar cells by CH3NH3I modification of TiO2-perovskite layer interface. Nanoscale Research Letters, 2016. 11. 43. Zheng, L. Q., Lingling Shui, L. You, O. Zheng, Y. Li, J. X. Zhao and G. Z. Li, The surface tension study of the gemini surfactant solutions. Acta Chimica Sinica, 2001. 59(5): p. 637-642. 44. Zhu, W. Z., G. Z. Li, L. Q. Zheng, S. J. Liu, Lingling Shui*, H. J. Liang and Q. Wu, Particle nucleation during the microemulsion co-polymerization of acrylic octadecyl ester and styrene by laser light scattering method. Acta Chimica Sinica, 2001. 59(1): p. 1-5. 45. Lingling Shui, G. Z. Li, Q. Shen, D. M. Ji, Z. W. Sun and DaiGuoliang, Flooding efficiency of flooding systems and wettability study on the simulant rock surface. Chinese Journal of Chemical Physics, 2004. 17(2): p. 201-205. 46. Lingling Shui, Z. N. Wang and L. Q. Zheng, Rheological properties of cubic liquid crystals formed from monoglyceride/H2O systems. Chinese Journal of Chemistry, 2005. 23(3): p. 245-250. 47. Qiu, Shuhai, Shengjie Xu, Guofu Zhou, Lingling Shui and Xiaozhang Zhu, Synthesis of 1,2,3,4,5-Pentaarylcyclopenta-2,4-diene Derivatives and Their Aggregation-Induced Emission Properties. Chinese Journal of Organic Chemistry, 2015. 35(8): p. 1746-1753. 48. Hou, Jiaxin, Wenwen Ding, Yancong Feng, Lingling Shui, Yao Wang, Hao Li*, Nan Li and 2 Guofu Zhou 1, 3,*, Electrowetting Performances of Novel Fluorinated Polymer Dielectric Layer Based on Poly(1H,1H,2H,2Hperfluoroctylmethacrylate) Nanoemulsion. Polymers, 2017. 9(217): p. 1-13. 49. 水玲玲，朱云飞，“微流控法制备功能性微纳米液珠”，华南师范大学学报（自然科学版）， 2013, 6: 99-104. DOI: 10.6054/j.jscnun.2013.09.010. 50. 何涛，金名亮，窦盈莹，吴昊，周国富，水玲玲“一种电润湿显示彩色油墨的性能研究”， 华南师范大学学报（自然科学版），2016, 2, 48: 40-45. DOI: 10.6054/j.jscnun.2015.11.002. 51. 水玲玲，李岚慧，金名亮，周国富“微流控法 DNA 片段化研究进展”，华南师范大学学报（自然科学版），2016, 1, 48: 23-27. DOI: 10.6054/j.jscnun.2016.01.004. 52. 朱云飞，水玲玲，周国富，金名亮，“微流控法制备可用于电泳显示微胶囊的微液珠研究”，华南师范大学学报（自然科学版），2015, 3, 47: 19-23. DOI: 10.6054/j.jscnun.2015.03.016. 53. 金名亮，水玲玲，“光流控研究现状及趋势”，华南师范大学学报（自然科学版），2015, 2, 47: 12-16. DOI: 10.6054/j.jscnun.2014.12.012. 54. 韦必明，金名亮，吴昊，窦盈莹，周国富，水玲玲“大面积光刻胶线棒涂布工艺研究”， 华南师范大学学报（自然科学版），2015, 2, 47: 84-89. DOI: 10.6054/j.jscnun.2014.12.015. 55. 李岚慧，窦盈莹，水玲玲，李发宏，Robert A. HAYES，周国富“水溶液显影环氧乙烷光刻胶的显影条件及机理探索”，华南师范大学学报（自然科学版）, 2017, 1, 49: 40-45. DOI: 10.6054/j.jscnun.2017052. 56. 李显歌，白鹏飞，Rob Hayes，水玲玲，吴昊，窦盈莹，郭媛媛，周国富，“Teflon AF1600作为电润湿显示器件疏水绝缘层的可靠性研究”，华南师范大学学报（自然科学版）, 2015, 2, 47: 17-20. DOI: 10.6054/j.jscnun.2014.12.016. 57. 刘先明，王利，易子川，水玲玲，周国富，“基于直流平衡的电子纸驱动方法的研究”， 华南师范大学学报（自然科学版），2015, 3, 47: 10-13. DOI: 10.6054/j.jscnun.2015.03.001. 59. 水玲玲, 郑利强, 赵剑曦等，“双子表面活性剂体系的界面活性研究”精细化工, 2001, 18(2): 67-69. DOI: 10.3321/j.issn:1003-5214.2001.02.002. 60. 水玲玲,郑利强,刘少杰等.“双子表面活性剂的研究进展”日用化学工业, 2001, 31(2): 28-31. DOI:10.3969/j.issn.1001-1803.2001.02.008. 61. 吕锋锋, 李干佐, 水玲玲等，“微乳化燃油的研究进展”，精细石油化工进展, 2002, 3(11): 21-23. DOI: 10.3969/j.issn.1009-8348.2002.11.005. 62. 刘杰, 李干佐, 吕锋锋，水玲玲等，“孤东原油组分与其ASP配方体系之间界面张力的研究”，山东大学学报(理学版), 2004, 39(1): 101-106. DOI: 10.3969/j.issn.1671-9352.2004.01.023. 1. 水玲玲, 曹洁萍, 金名亮, 周国富，一种柔性电润湿显示基板及其制备方法、电润湿显示器件[P].广东：CN106405822A, 2017-02-15. 2. 周国富, 杨志华, 水玲玲, 金名亮, 李楠，一种柔性复合透明导电膜及其制备方法[P].广东：CN106229037A, 2016-12-14. 3. 水玲玲, 王娟, 金名亮, 龚颖欣, 周国富，一种具有拉曼活性的微球及其制备方法[P].广东：CN106179141A, 2016-12-07.